As with many creative jobs, floristry pays less than average. And for new florists pay often starts at minimum wage. 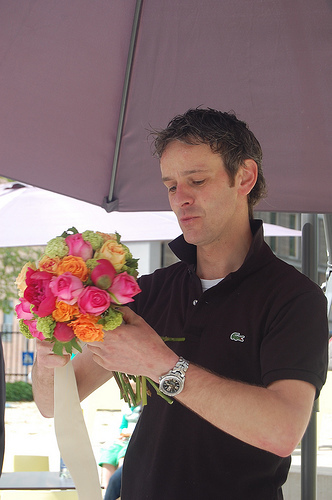 The average salary of a florist varies according to various factors such as location and level of experience. This section of the Employment Guide looks at the average salaries for the UK and the U.S. Salaries are largely determined by the supply and demand in the labour market and so change according to what is going on with the economy. A report by the Office for National Statistics found that that the average salary of florists in the UK in 2012 was £14,790. To put that figure in perspective, the report cited a median gross annual earnings of £26,500 for all full-time employees in the UK. Other surveys have similar findings, with MySalary reporting an average salary of £15,662, based on respondents to their survey, and PayScale finding the median salary of a florist to be £14,077. According to the Bureau of Labor Statistics (U.S. Department of Labor), the median annual wage for floral designers as of May 2012 was $23,810 ($11.45 per hour), significantly lower than the national average wage of $42,980. Those working in lawn and garden equipment and supplies stores made the most with an annual mean wage of $27,370, followed by grocery store employees who made $26,030. Those working for miscellaneous nondurable goods merchant wholesalers earned the least at $24,610. The highest 10 percent of florists earned more than $35,840 and the lowest 10 percent made less than $16,940. Salary.com pegs the median floral designer salary at $46,184, a figure based on an analysis of survey data drawn from HR departments, whereas PayScale posts a figure of $23,463, which is more in line with the aforementioned Bureau of Labor Statistics figure (based on individuals reporting their salaries). Jane Packer points out in an interview with The Independent that the starting salary for florists in London is about £14,000, with managers earning approximately £35,000. But when working outside of the city, salaries drop. Higher wages in cities are common due to the higher cost of living, and in the case of a city like London which has a really high cost of living, wages need to be higher than in other places. Similarly, differences in the cost of living vary not just between cities, but from one region to another. The Bureau of Labor Statistics found that 31 percent of floral designers in 2010 were self-employed. Self employment typically pays higher than working as an employee. Another advantage of working for yourself is that you can write off expenses as you run your own business. The drawbacks are that your earnings are entirely dependent on how well your business performs and thus are not as stable as when working for an employer.